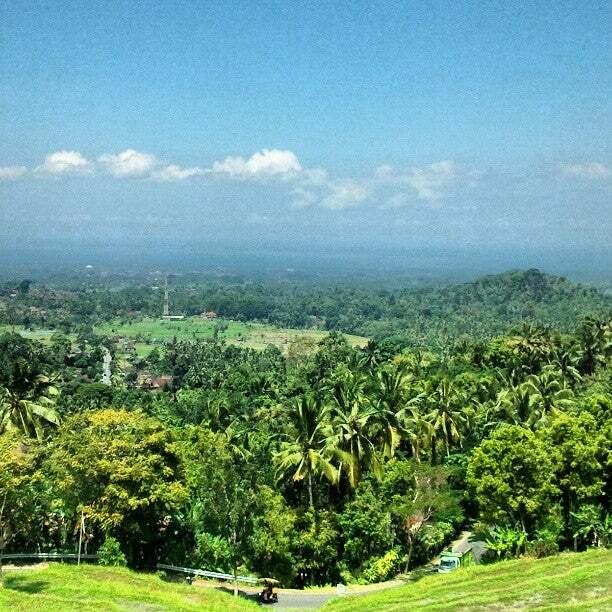 Why Bukit Jambul is special ? Bukit Jambul is the name of hill where there is a large banyan tree growing on the top of hill like crest so that the local people give it name as Bukit Jambul where Bukit is means hill, meanwhile Jambul is means crest. This place become famous because it was inspired by the most amazing scenery with rice terrace, winding road underneath and palm trees stretching to the sea. It is situated in the plateau area that is always covered by cool temperatures that make it as an ideal place for relaxation. Many tourists over stop at this place and enjoy the beautiful panoramic view. 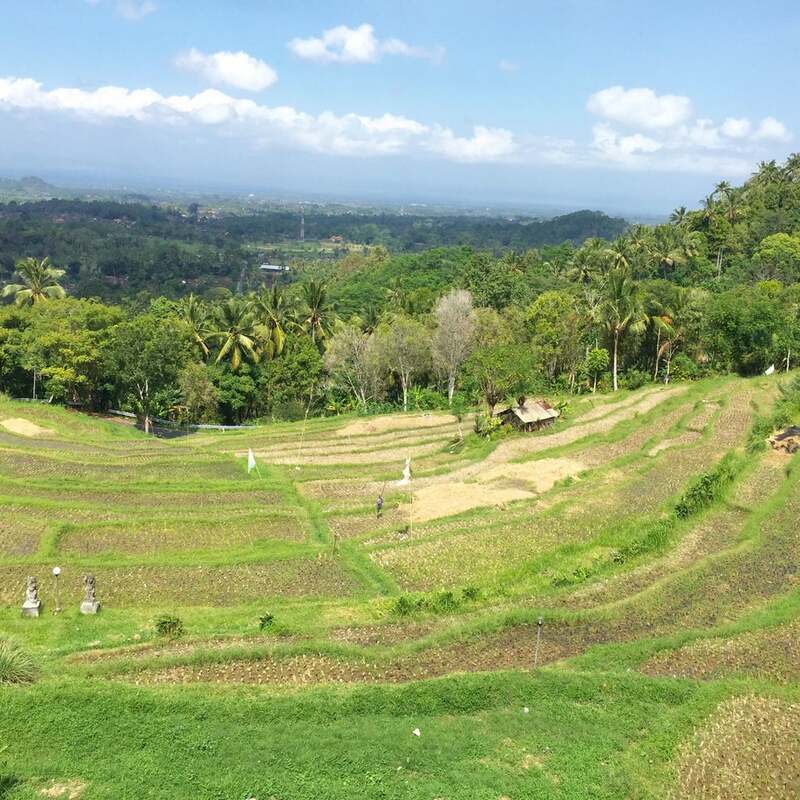 What to explore at Bukit Jambul? How to get to Bukit Jambul? 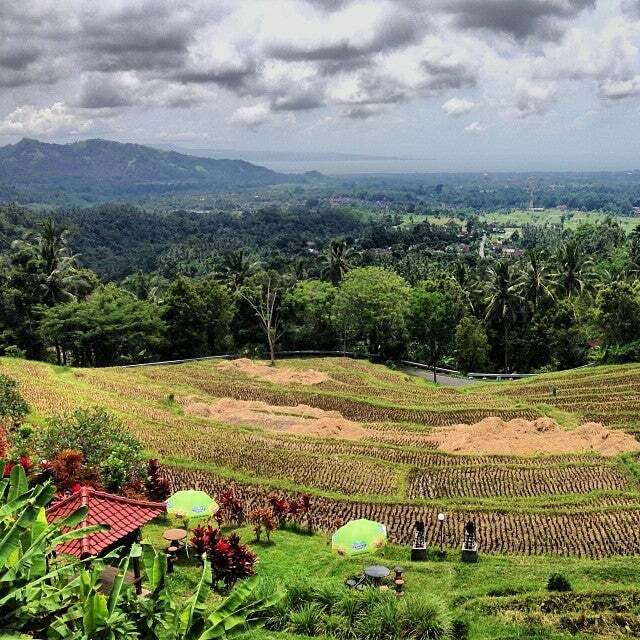 Bukit Jambul is located in Karangasem Regency, east part of Bali Island. From Denpasar City, take about 1,5 hours drive away using vehicles or 30 minutes to Besakih Temple that is famous called by Mother Temple. When take the direction from Kerta Gosa, just take 30 minutes away to the north side until you found the windy road. So, this place is very easy to be located because it is located in the strategic location just beside of the main road from Klungkung to Besakih Temple.